Mug shot of Amerigo Angelini. 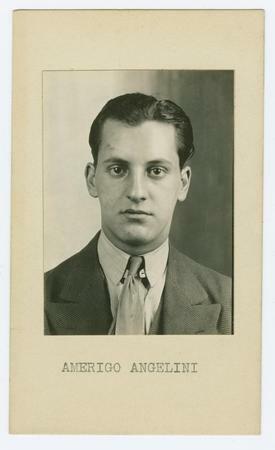 Sing Sing Prison mug shot of prisoner Amerigo Angelini. Black & white head and shoulders portrait, facing front.